I have a confession. I have been very grumpy lately. Just ask my family. I’m sure they would wholeheartedly agree! If I give myself permission to be grumpy, I think I could follow suit all darn day. The key for me is reminding myself I have NOTHING to be grumpy about. Plus, what’s the point in being grumpy? 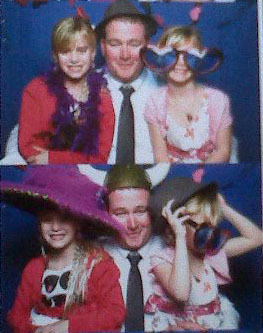 When I let myself wallow in the grump, I miss out on some wonderful, beautiful things. The first peony bloomed yesterday at the new house. It smells wonderful, and what a great reminder of our friends and family. One of our best buds gave us three peony plants last summer, and I’m proud to say they survived and bloomed this year! We have a robin’s nest tucked under our deck. 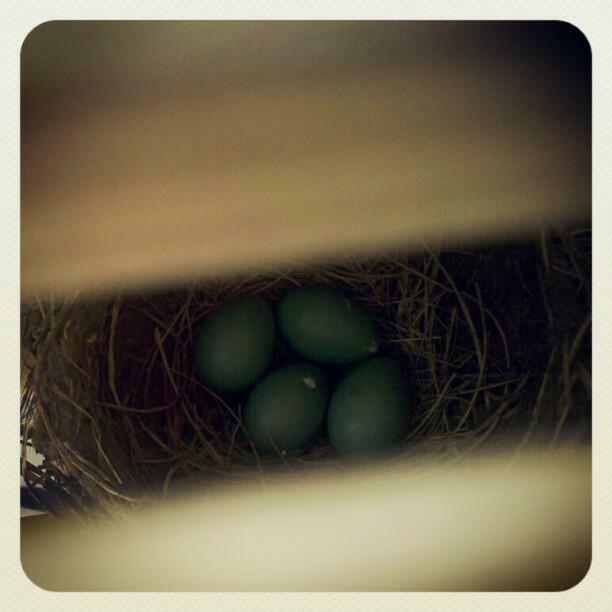 We can peek through the slats and see the four beautifully colored eggs. The girls spend a ton of time sprawled on the deck watching the nest. What’s there to be grumpy about? 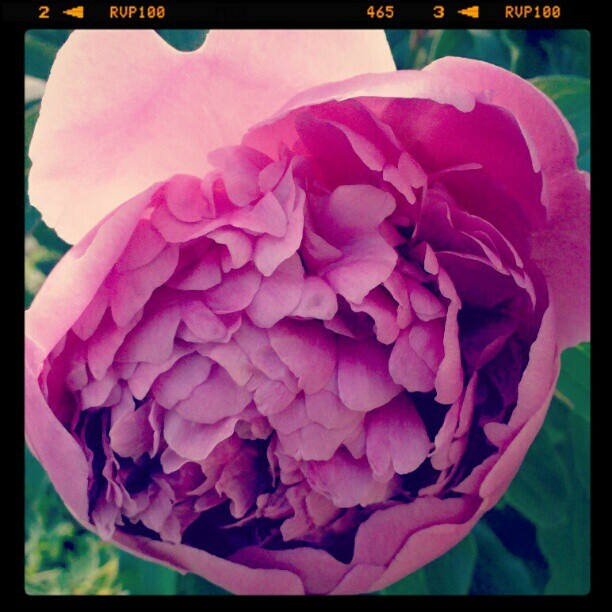 This entry was posted in Gardening, Religion, Thankful and tagged faith, gardening, God, nature, peonies, plants, religion, spirituality, spring, thankful. Bookmark the permalink.